I’m not a big fan of flashcards, although I have found an interesting use for them. Flashcards take the material you’re learning out of context making it harder to learn, but easier to memorize. Students can use flashcards, for example, to memorize the bones in the body. They will be able to remember that the ulna is in the arm, but without context, they won’t know the ulna’s relationship to, say, the humerus. Having said that, the sheer memorization that flashcards afford does have a place. If you want to just learn new vocabulary words, flashcards can certainly help. 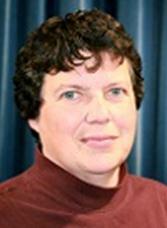 Having said that, I have a colleague (shout out to Liz Hammer at Xavier University of Louisiana!) who suggests having students create application cards. For each concept in a course, ask students to generate an example of that concept from their lives or from other sources such as news media. Students write the concept on one side of the card. On the other side, students provide an example of the concept. Now picture these as virtual cards where all students have access to the card deck… on a website or on their mobile device. The exercise’s greatest power comes from generating examples, but students being able to see an example, and then trying to figure out what it is an example of makes use of the testing effect where the act of retrieval strengthens memory. There are a bunch of flashcard makers out there, but I’m particularly enamored with Flashcard Machine. Creating flashcards is easy through both the web interface (free) and the mobile app (iOS and Android for a small fee). A group of students, or an entire class, can share flashcard sets. On the mobile device, students will see the “definition,” in our case an example, come up. Tapping the bottom of the screen will reveal the term that goes with the example. In one chapter of the textbook I use, I count about 30 terms. If, say, 30 students each generated one example for each of those terms, that would be 900 flashcards – just for that one chapter. Perhaps students could be in groups of 5. That would be 150 flashcards per set. It would require some background work, but students could have editing power for their own group’s flashcards but be able to see and use the flashcards of other groups. Want to increase accountability or grade individually? Have each student initial their cards. Or perhaps each student makes their own set of (gradable) cards but then makes them available for their group members to use. Or each group member could choose their best cards, and copy those cards into the group set that each group member could use for studying. Enter the “General Set Details,” including a short title and description. 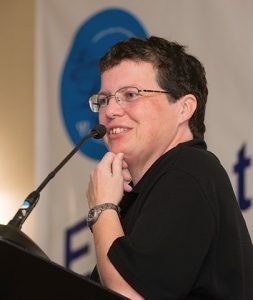 Leave the “Flashcard Library” disabled if you don’t want the set to be publicly available. Enable “Private Sharing” so you can give the url to other students in the course allowing them to use the flashcards without the power to edit them. Enable “Collaborative Editing” to invite students to add flashcards. In the Quick Editor, add the term in the first box, add the example in the second box. Then click “+Add Another” to add another new card. 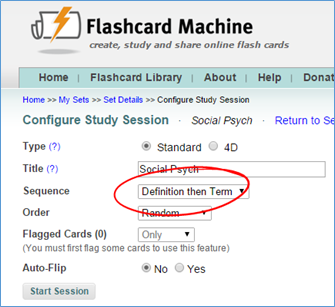 On the “Configure Study Session” page, students should select “Definition then Term” since, for our students, examples have been entered on the definition side of the card. When given an example, can students identify the term? 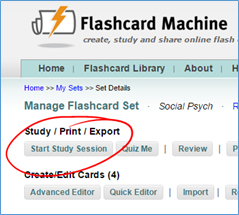 If your students try Flashcard Machine, I would love to hear what they think of it! More importantly, when your students create examples and work with examples created by others, do you see an improvement in exam scores?